Hello , I'm not sure if it's the good section to post my project. I just discovered the forum so I don't know very well how it's organized. Edit 27 november : I finished my map , so I need some feedbacks. It's a huge , long and full of flemoids map. :p This is a Boom compatible map , you must play with prboom or a more recent port. Here is the wad in his current version. I will write the text file later. Reviews are welcomed ! Very nice! The modding community for this game hasn't been as active in the past couple of years (with the exception of 2 very recent mods), so this is a pretty good new map. Hello , some screens of the evolution of my map. Looks like something out of a dream! I like it. My map takes more time than expected to make. Despite my studies and other doom projects, I will try to finish it in the month. The map is now available , see the first post for more informations. I really like the abstract architecture/geometry. So much better than seeing maps that are basically boxes for rooms. Traps were good, but I think stacking them on top of each other (i.e. pop up trap, then teleporting enemies in at the same time) is a bit unnecessary. You did a lot with the default Chex textures, I was surprised at how good some of the detailing was with the textures. Have you considered adding more custom textures? Usually here when people create custom textures we're all allowed to use them. A lot of the Flembranes were constricted in terms of the space they were given, and as a result they couldn't shoot at me. I'd reconsider placing them in tight spots. One of my main complaints is the flow of the map. It's a large map, and there's no problem with that, but I felt like it didn't flow well. As in, I felt like I was aimlessly wandering around shooting anything I came into contact with, but in the end I didn't know where I was going or what I was doing. Because the map is so free-flowing, it didn't feel like I was making any progression. I mean, 1 hour in and I only have one key? I felt like I missed something. I wouldn't want you to change anything just for my sake, it's a good map, but if after an hour I don't feel like I'm getting anywhere it's a problem, and that's what gets people bored. I'd recommend making up a backstory for the map, that's always fun and it lets players know what they're trying to accomplish! Something I noticed was in the large outdoor area, after completing a section of the map one of the Spyro towers would unveil.. something. I didn't really know what that meant so making up some sort of story or scenario could help with that. Sometimes large traps involving bunches of enemies would activate and I wasn't quite sure why. Like I didn't feel like I did anything to warrant a trap, just sort of wander into an area and then the surrounding area would spawn a ton of enemies. Afterward I would think "why did I even go in there?" since all that happened was a bunch of enemies spawned. If you do make any more maps of this size, I'd recommend trying to keep maximum playing time at 30 mins. It drags on a bit after that threshold. It's true that Chex 1 has few textures but I am not a huge fan of using custom textures. 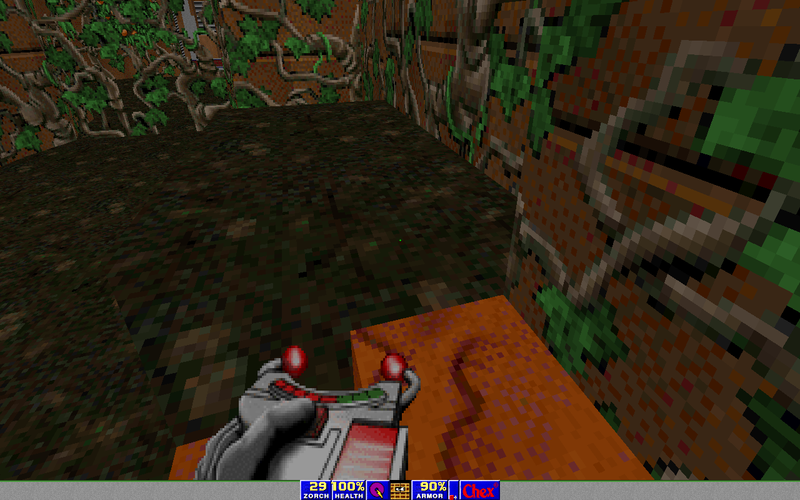 I think that chex textures have a lot of potential for good detailed map. An another tester noticed it. These monsters are useless , I shall remove them. Yes , the layout is very mazy. This is my first big map. I think it must be better to make a more "linear" gameplay. 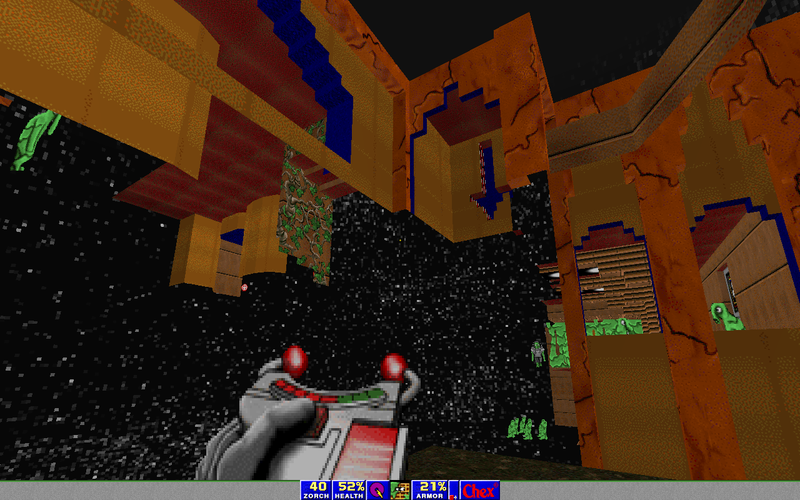 I am building a map for a Doom project and my goal will be to make a more understandable way to finish the map. I put Spyro pics on my map just for fun. Your idea is interesting. My map has a lot of different places : Space , city , factory , train... but it's true that there is not a real backstory. It's a good idea because it's hard to not bore the player , especially when the map is very complex. In any case , I will not make a huge map before a long time. You must find 4 switches on the map. They are not very hard to find.